Sales forecasting and planning are critical for organizations to understand their financials, budget for and set goals, effectively manage inventory and more. Most importantly, forecasting enables companies to make decisions strategically and achieve key business objectives, also known as KPIs. Successful forecasting relies on organized data plus the processes and tools to analyze that information. When companies have a forecasting problem, they typically seek out an ERP system as the solution—but often find they still struggle with forecasting. This blog examines why an ERP isn’t the complete solution and what organizations should do in addition to using that tool. An ERP is an excellent tool for companies to centralize data, streamline workflows and break down silos. Implementing an ERP process provides benefits across the organization and is especially advantageous for the finance, accounting and HR functions. However, the forecasting function within an ERP usually isn’t robust enough for most organizations. Some ERPs have warehouse and inventory management capabilities, but those aren’t the core functions. Generally, the system keeps track of inventory but doesn’t provide additional analysis capabilities to evaluate demand. 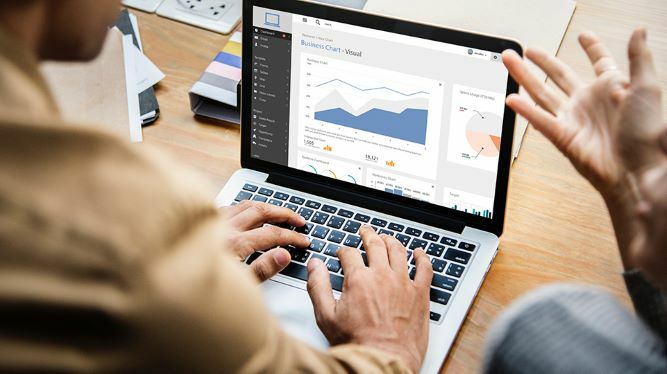 Forecasting in general can be difficult with an ERP, as the forecasting function isn’t dynamic enough to see trends, slice and dice the data for analysis and take action to make smart business decisions. Our intention is not to criticize ERPs; they do offer immense value to an organization, but are not always the complete solution in terms of forecasting and data analysis. Because many people assume an ERP has the capabilities to handle their forecasting and inventory management challenges, they feel stuck when they realize it’s not the tool they need—and may not even realize there is a better solution available. The missing link is a software solution created for the purpose of forecasting and analysis. A forecasting tool compliments your ERP and integrates and builds on the capabilities of it. An ERP is a great solution to establish business processes and add many functions within an organization. However, the needs of the planner are not often addressed. Want to learn more about the benefits of a forecasting platform? [basic-code]™️ offers a sales analysis and forecasting platform that helps businesses of all sizes understand their data, create massive efficiencies and consistently hit their KPIs. Learn more now.